Location Cricket Clubs in Berkley, Santa Clara, Stanford, Sunnyvale, Davis, Tracy, Marin, and many other locations. 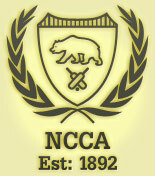 NCCA - The Northern California Cricket Association is a highly active organization formed for enthusiastic cricket lovers. Its not enough to be a spectator, however, the NCAA has 100s of teams and tournaments participating each year, and has clubs in Berkley, Santa Clara, Stanford, Sunnyvale, Davis, Tracy, Marin, and many other locations. Their mission statement says that its goal is "...to develop, foster and train amateur athletes for representation in national and international cricket competitions." Host to the U-19 Western Conference Championship, Northwest Interleague Championship, and many other tournaments. They also hosted Indian cricketer Kapil Dev in April 2007, with exclusive events allowing members to personally meet their favorite sports hero. There is a wealth of information on their website for budding cricket players, visit them at www.NCalCricket.org.